The picturesque hill station of Manali, in the state of Himachal Pradesh, has a lot to offer its visitors, especially those who love nature and adventure. While two days may not allow you to see all of its main sights, carefully planning ahead will ensure that you don’t miss out on the main attractions. Here’s a guide to help you explore the best of Manali within 48 hours. Being a popular holiday destination, both domestic and international tourists come to Manali all throughout the year. So, make sure you have booked a room at one of the best hotels prior to your arrival. Also, our guide to getting around in Himachal Pradesh should be helpful for your trip to Manali. For Indian tourists, Manali, which is home to many Hindu temples, is considered to be an important spiritual destination. Start your two-day trip by visiting the Hadimba Devi Temple, located amid a cedar forest and surrounded by snowy mountains. It’s best to get there early since the place starts getting crowded as the day progresses. Plus, you’ll get to enjoy the serene environment of the temple much better when it’s quieter. The temple has a distinct pagoda-style architecture and has also been featured in many Bollywood films. From river rafting to mountain biking, paragliding, zorbing and skiing, Manali has a wide variety of adventure activities to offer. When you’re in Manali, it would almost be sacrilege not to try at least one of these exciting sports. Additionally, you can also opt for an offbeat experience and explore the breathtaking views of the hill station while riding an all-terrain vehicle or a quad bike along the mighty River Beas, thanks to the Alternate Terrain. If you’re at the Alternate Terrain property, then you can have lunch at their Big Bear Cafe; otherwise, try Chopsticks in the city centre, which serves delicious Tibetan cuisine. The Museum of Himachal Culture and Folk Art is a treasure trove of rare antiques collected from different parts of Himachal Pradesh and includes musical instruments, wood carvings, traditional dresses, household items and local weapons. Some of these artefacts are almost extinct, and you’ll probably not find them anywhere else but the museum, making it a must-visit, especially for culture and history buffs. Unwind at the Johnson Bar & Restaurant at night, where they usually have a live band playing. Its laid-back ambience and great food and bar menu have made Johnson one of the most sought-after places to enjoy the nightlife in Manali. A seat around the cosy fireplace is much in demand during a nippy winter evening. The establishment is open until 11 pm, which is quite good for the quiet hill station. Begin your day with an early trip to the nearby Jogini Falls. It takes a short trek amid lush pine forests to reach the waterfall. When you start early in the morning, at about 6 or 7 am, you’ll have the waterfall all to yourself. After this, the place begins receiving a large number of tourists, who also visit the nearby Vashisht Temple. If possible, ask your hotel to pack a breakfast for you and enjoy your first meal of the day beside the beautiful and tranquil waterfall. Another adventure awaits you in the afternoon as you make your way through the scenic trails of the Manali Wildlife Sanctuary. Shrouded in deodar, fir, walnut and willow trees, the sanctuary is home to wild animals such as the snow leopard, musk deer, brown bears and ibex. 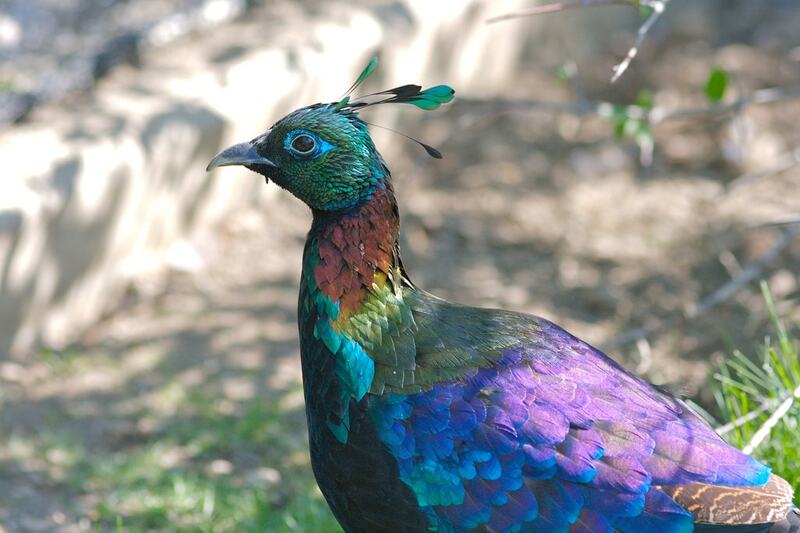 The wildlife reserve also harbours rich avian fauna like the multi-coloured Himalayan monal, kingfisher and snow pigeon. Since this is a brief vacation, you won’t get to explore the entire nature reserve, but if you do visit Manali on a less tight schedule the next time around, you can even camp overnight there and soak in the wildlife experience to the fullest. Although a small hill station, Manali is still a melting pot of different cultures. The town has many Tibetan settlers and is home to a couple of important Buddhist monasteries – Gadhan Thekchhokling Gompa and Himalayan Nyingmapa Gompa. You can spend your evening at either of these monasteries where you can meditate, admire the works of art overlaying the place of worship or shop for Tibetan handicrafts. Bring your Manali vacation to a close with a lovely dinner at La Plage, which sits amid an apple orchard. It serves French cuisine and has earned rave reviews from locals and tourists alike. Apart from the delicious food, which includes overnight-cooked lamb and smoked trout, La Plage’s quaint décor is very inviting. On weekends, there’s usually a musical event happening, but if you’d rather enjoy a quiet dinner instead, you can head to the Indian restaurant Mayur or Il Forno, which serves Italian food.